Harvest House Publishers, 9780736924474, 326pp. Anna Bailey thought she left the tragedies of the past behind when she took on a new identity and moved from Pennsylvania to California. But now that her brother has vanished and his wife is crying out for help, Anna knows she has no choice but to come out of hiding, go home, and find him. Back in Lancaster County, Anna follows the high-tech trail her brother left behind, a trail that leads from the simple world of Amish farming to the cutting edge of DNA research and gene therapy. During the course of her pursuit, Anna soon realizes that she has something others want, something worth killing for. In a world where nothing is as it seems, Anna seeks to protect herself, find her brother, and keep a rein on her heart despite the sudden reappearance of Reed Thornton, the only man she has ever loved. 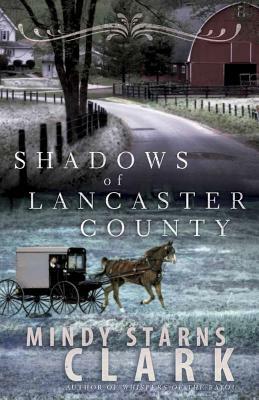 Following up on her extremely popular gothic thriller, Whispers of the Bayou, Mindy Starns Clark offers another suspenseful standalone mystery, one full of Amish simplicity, dark shadows, and the light of God's amazing grace.